A quick follow up to my Halloween Unleashed post. 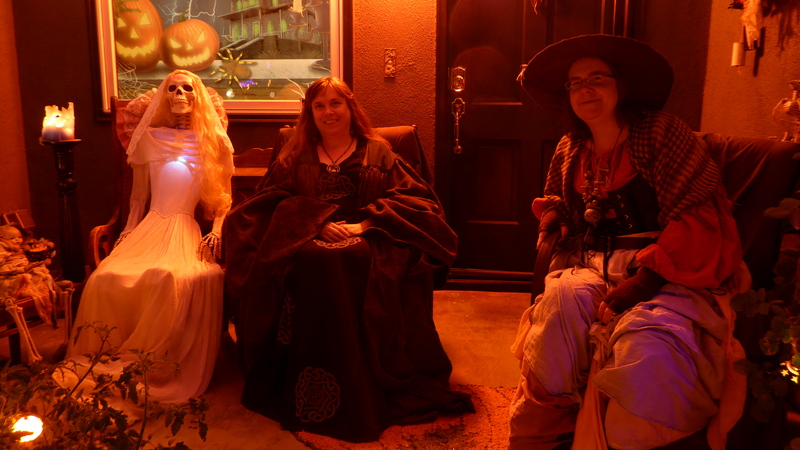 Halloween 2013 was nearly rained out. It poured terribly in the afternoon and shorted out our system (even though we had it off). We traced the short and were back up running just in time. We had a slow start but it picked up, despite the rain from earlier, despite having lost four anchor houses on the street this year. 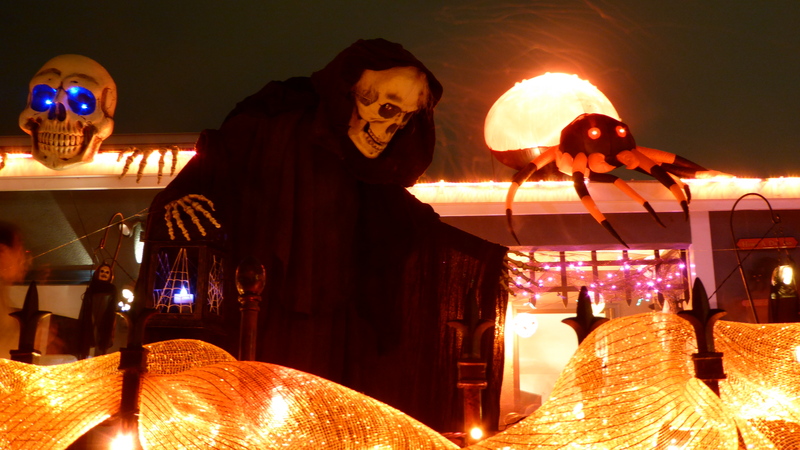 For the first time, though, the number of trick or treaters we had went down. Still it was a respectable 1262 (from just over 1300 last year). Believe it or not, this too relates to writing. 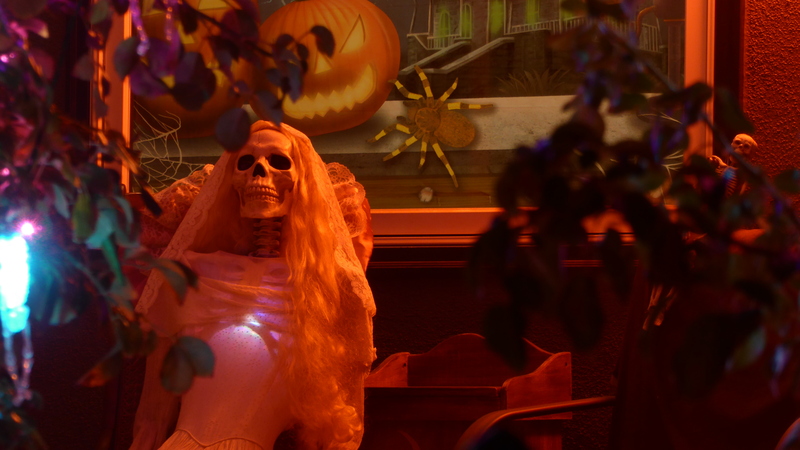 For 22 years I’ve put out a front year haunt, and I’ve calculated I’ve spent over three years putting up and taking down Halloween stuff. This year, I cut back the number of things I put up dramatically, relying on lights and the large blow ups so that I might have more time to focus on my writing. While Halloween is a creative endeavor, it is also a distraction from my writing. So now, back to it! A very nice neighbor took these pictures of our house and shared them. He put a bunch of photos of our street up. Thanks, neighbor!